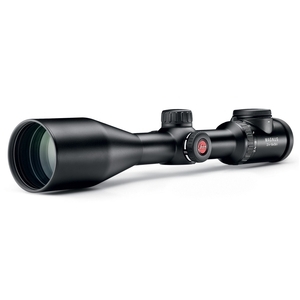 Leica Magnus i 2.4-16x56 IR Rifle Scope. In contrast to other riflescopes, the particularly low vignetting of the Magnus 2.4–16x56 i ensures extra brightness at low magnification factors. Its large-diameter front lens, a highly effective entrance pupil at mid-range magnification, and the highest, outstanding transmission value of around 92% ensure optimum identification up to the last minutes of shooting light.